In 965 A.D., Odin (Anthony Hopkins), king of Asgard, wages war against the Frost Giants of Jotunheim and their leader Laufey (Colm Feore), to prevent them from conquering the Nine Realms, starting with Earth. The Asgardian warriors defeat the Frost Giants and seize the source of their power, the Casket of Ancient Winters. In the present, Odin's son Thor (Chris Hemsworth) prepares to ascend to the throne of Asgard, but is interrupted when Frost Giants attempt to retrieve the Casket. 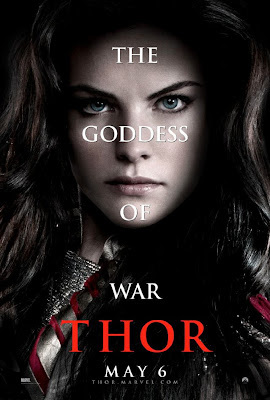 Against Odin's order, Thor travels to Jotunheim to confront Laufey, accompanied by his brother Loki (Tom Hiddleston), childhood friend Sif (Jaimie Alexander) and the Warriors Three; Volstagg (Ray Stevenson), Fandral (Joshua Dallas) and Hogun (Tadanobu Asano). A battle ensues until Odin intervenes to save the Asgardians, destroying the fragile truce between the two races. For Thor's arrogance, Odin strips his son of his godly power and exiles him to Earth, accompanied by his hammer Mjolnir — the source of his power, now protected by a spell to allow only the worthy to wield it. Thor lands in New Mexico, where scientist Jane Foster (Natalie Portman), her assistant Darcy Lewis (Kat Dennings) and mentor Dr. Erik Selvig (Stellan Skarsgård), find him. The local populace finds Mjolnir, which S.H.I.E.L.D. agent Phil Coulson (Clark Gregg) soon commandeers before forcibly acquiring Jane's data about the wormhole that delivered Thor to Earth. Thor, having discovered Mjolnir's nearby location, seeks to retrieve it from the facility that S.H.I.E.L.D. quickly constructed but he finds himself unable to lift it, and is captured. With Selvig's help, he is freed and resigns himself to exile on Earth as he develops a romance with Jane. Loki discovers he is Laufey's son, adopted by Odin after the war ended. When Odin, overcome with stress, falls into the deep "Odinsleep" that allows him to recuperate, Loki becomes king and offers Laufey the chance to kill Odin and retrieve the Casket. Sif and the Warriors Three, unhappy with Loki's rule, attempt to return Thor from exile, convincing Heimdall (Idris Elba), gatekeeper of the Bifröst - the means of traveling between worlds - to allow them passage to Earth. Aware of their plan, Loki sends the Destroyer, a seemingly indestructible automaton, to pursue them and kill Thor. The warriors find Thor, but the Destroyer attacks and defeats them, prompting Thor to offer himself instead. Struck by the Destroyer and near death, Thor's sacrifice proves him worthy to wield Mjolnir. The hammer returns to him, restoring his powers and allowing him to defeat the Destroyer. Kissing Jane goodbye and vowing to return, he and his fellow warriors travel to Asgard to confront Loki. In Asgard, Loki betrays and kills Laufey, revealing his true plan to use Laufey's attempt on Odin's life as an excuse to destroy Jotunheim with the Bifröst Bridge, and thus prove himself worthy to Odin. Thor arrives and fights his brother before destroying the Bifröst Bridge to stop Loki's plan, stranding himself in Asgard. Odin awakens and prevents the brothers from falling into the abyss created in the wake of the bridge's destruction, but Loki allows himself to fall to his apparent death after realizing that he disappointed Odin once again. Thor makes amends with Odin, admitting he is not ready to be king, while on Earth, Jane and her team search for a way to open a portal to Asgard. In a post-credits scene, Selvig has been taken to a S.H.I.E.L.D. facility, where Nick Fury (Samuel L. Jackson) asks him to study an unnamed device, which Fury says may hold untold power. Loki, invisible, whispers to Selvig to agree, which Selvig does. 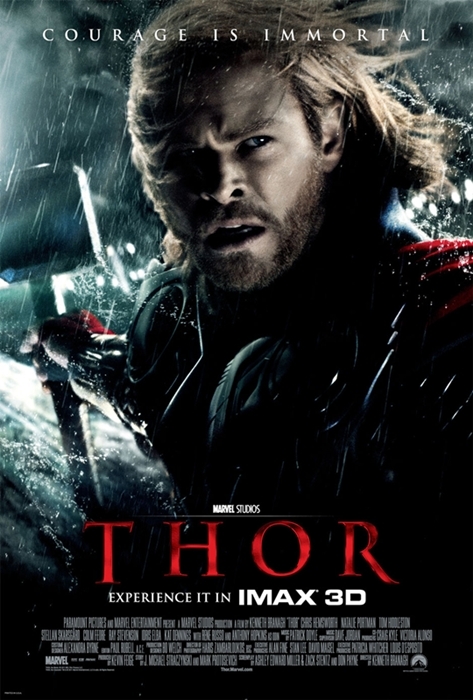 Source: Info in the About THOR was taken from Wikipedia at http://en.wikipedia.org/wiki/Thor_(film) on 13/05/2011. I agree with the love interest stuff, it just wasn't shown in the movie at all. We got a few great eye contacts with interest, but not much development besides the one evening of talking on the room. Really? Bummer. Good to know. Sounds like a rental.